My 4 year old male Maltese licks his lips whenever another dog is near him. What could be the reason for this? I believe it is most likely nerves. Some dogs including my neighbor's German Shorthair even drool when they are afraid. 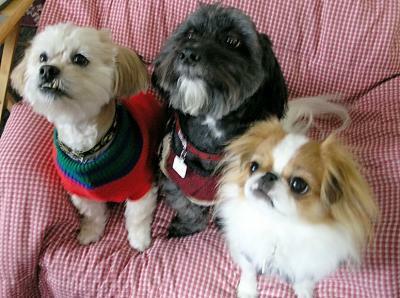 Which is comical as I have three small dog's. I agree with the previous poster. I believe that licking "lips" is a sign of being nervous. Licking their lips is a calming signal. They are either trying to calm themselves down or trying to show the other dogs or people to calm down. Yawning is another calming signal. It's stress. The dog is nervous. Thank you all for your feedback. It's makes perfect sense now.